Hope; who in faith, hope and love. The cross, anchor and heart stands for respective part. The anchor symbolizes hope – that you will find a safe haven. The flaming heart is a classic symbol of love. ”Stability” is also a symbolic Anchor tattoo meaning. 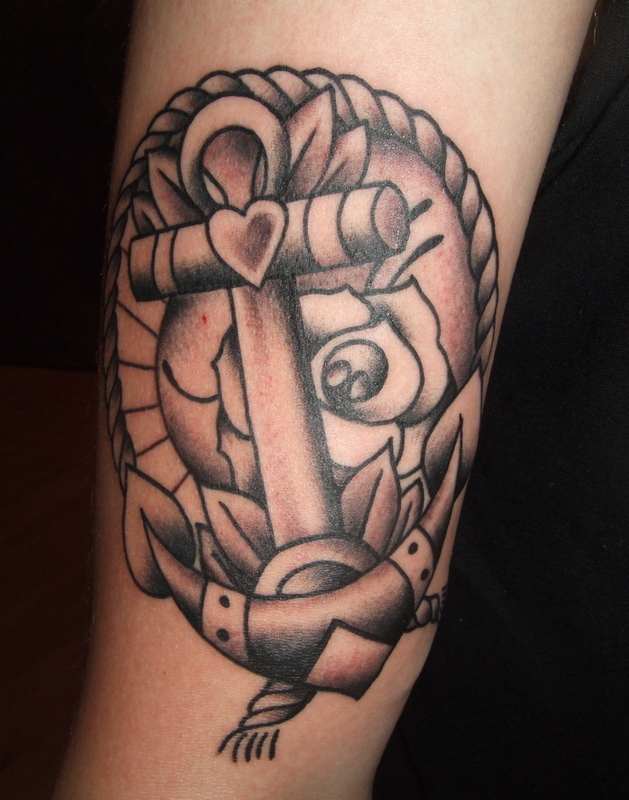 The anchor tattoo has most certainly stood the test of time and still remains a popular maritime tattoo symbol. In fact, the anchor is one of the oldest tattoo symbols. 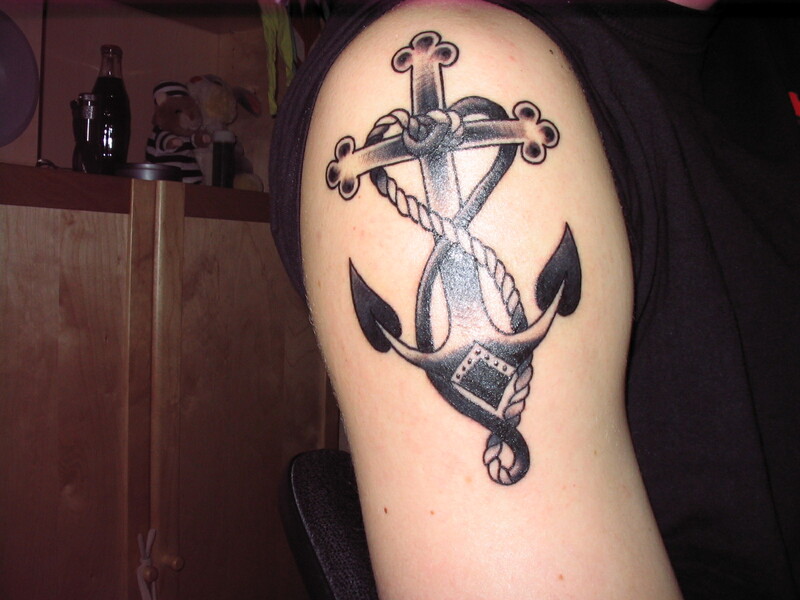 The anchor tattoo has been a long time favorite among seamen. The Marines and Navy are the two most common groups known to wear anchor tattoos. The anchor has a history beyond tattoos though. This popular and well known symbol has been around for centuries. 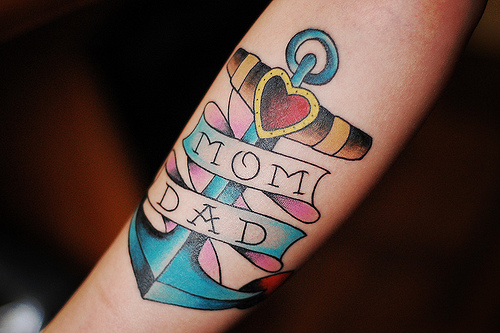 It wasn’t until the 1900s that anchor tattoos began to catch popularity. Sailors were among the first people to get this old school tattoo. Sailors used the anchor tattoo to symbolize their association to the sea. Sailors that crossed the dangerous Atlantic Ocean would symbolize their trip with an anchor tattoo. Among sailors, the anchor tattoo was a symbol of an experienced sailor. Later on, the Navy and the Marines began to sport the same tattoo design. The Navy and Marines used their anchor tattoos to represent that they was a Navy soldier or a Marine. 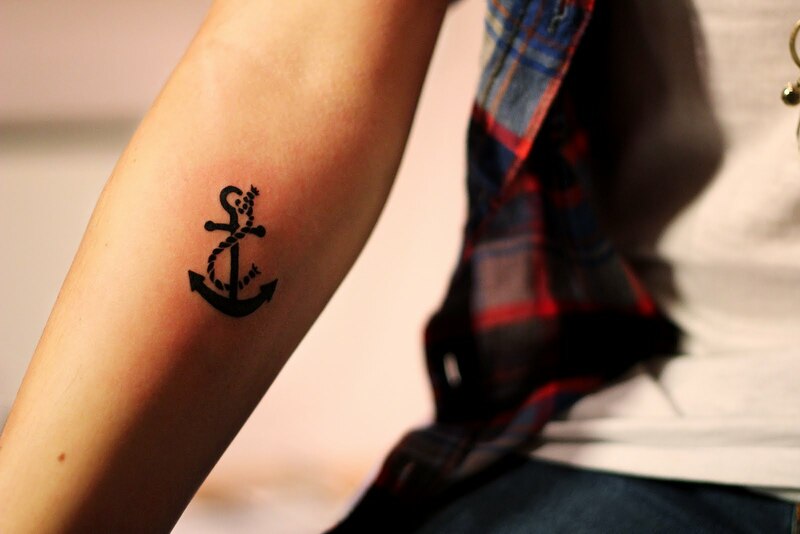 They would commonly associate a picture of their ship in their anchor tattoo or the number of their outfit. They wore this tattoo with pride and it also represented America. For example, they could use an American Flag wrapped around the anchor or have an eagle within the tattoo design. Even today, the Navy and Marines sport anchor tattoos. See more Anchor tattoos here!